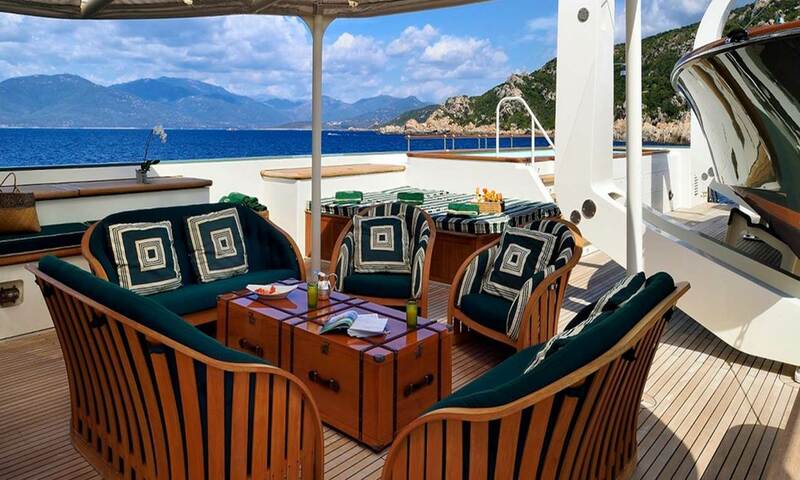 ACCOMMODATION 12 guests in 6 staterooms and 12 crew in 6 cabins. Her interior is truly special. 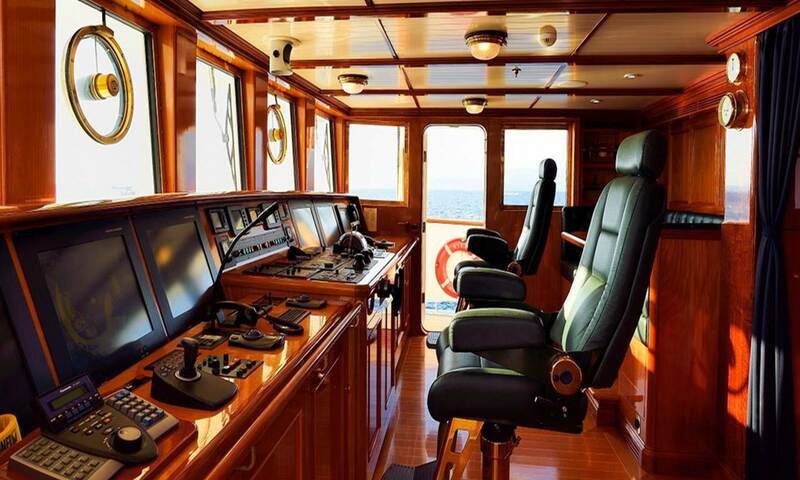 Safety, comfort and nautical elegance are the most applicable words to describe the explorer’s interior. 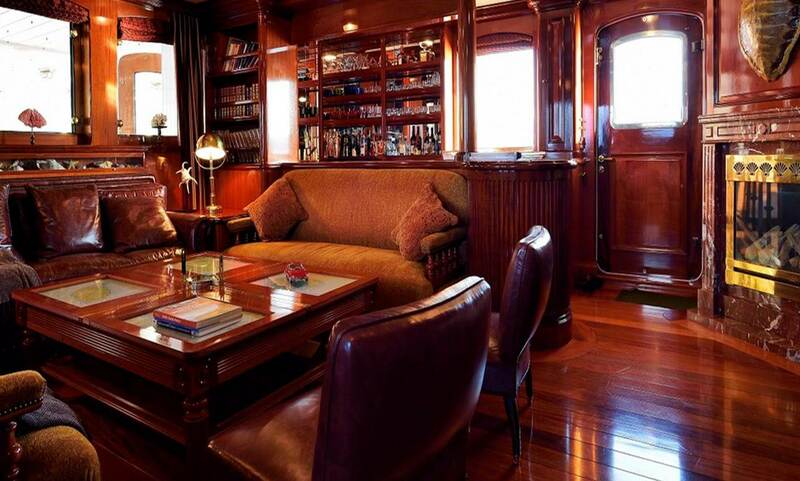 Cuban mahogany wood provides a warm and cozy atmosphere. 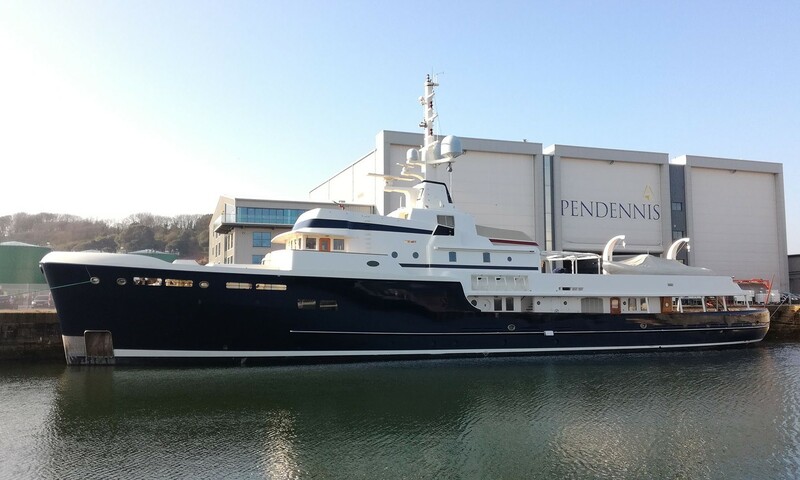 The beautiful wood work throughout the yacht is partly done by Pendennis and partly from Holland. The bathrooms have excellent Dutch marble work and imparts a feeling of Hollywood glam. STEEL has five guest cabins, one Owner cabin and one Nanny-cabin. 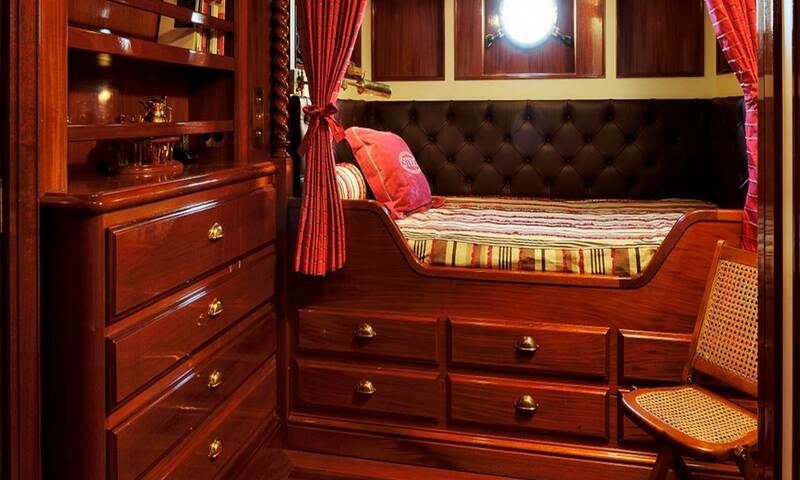 All the cabins have two single berths except for the Owner’s stateroom with a double bed. The main salon, with its fully equipped gentlemen’s bar, is kept in a warm tone of woods and leather. It can, furthermore, be transformed in a cinema room, with a big Panasonic screen outside. The salon table can be pulled out to enjoy drinks inside if the weather is bad. 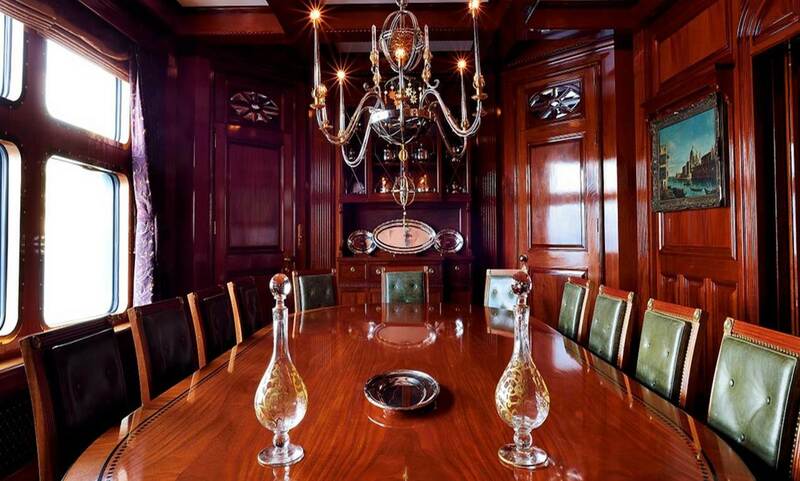 The dining area has high ceilings, to give the chandelier the possibility to shine in all its elegance. 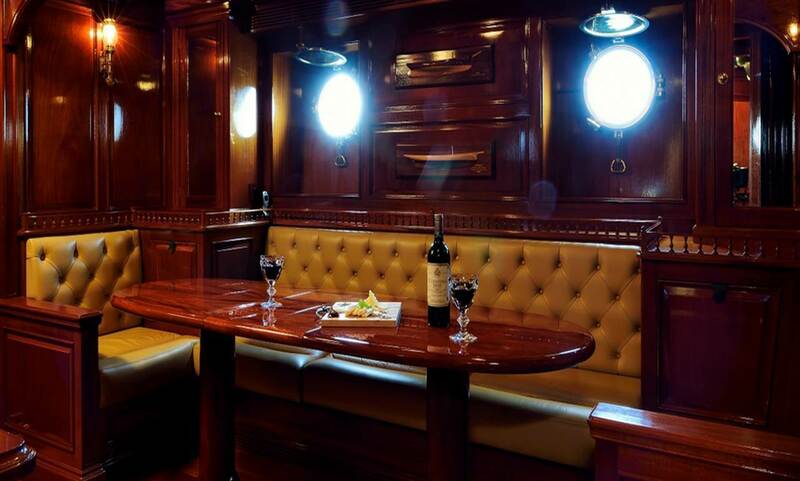 There is a second small dining room just next to it, especially for sailing. On the upper deck there is another dining room with a pantry. 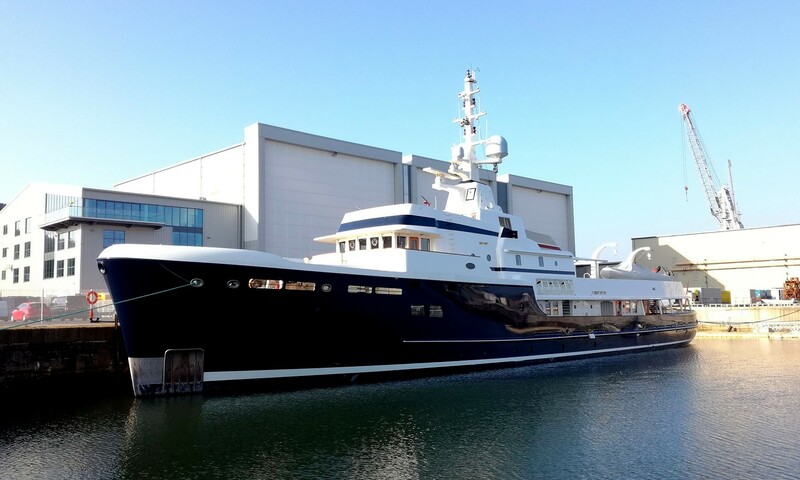 A fully equipped gym with Solarium and steam room is located on the top deck. The Owner stateroom has a double bed and an ensuite bathroom. 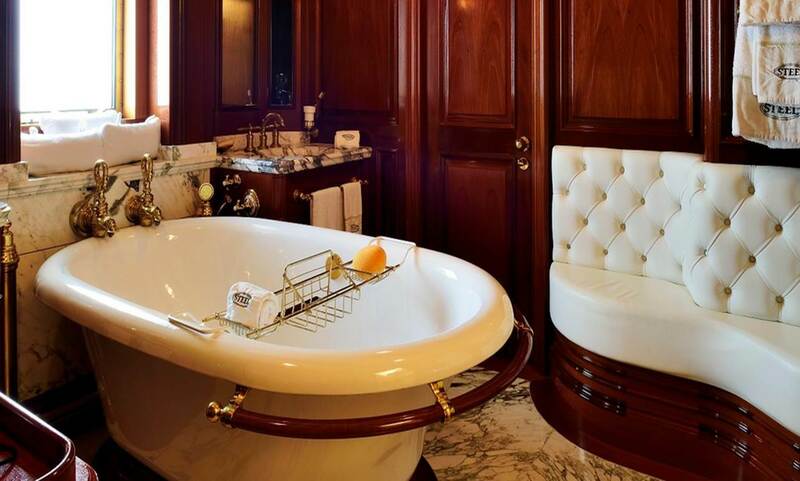 The white bathtub is standing in the room and a club style leather bench stretches along the room. Clearly a place to free the mind and enjoy the view on the ocean. 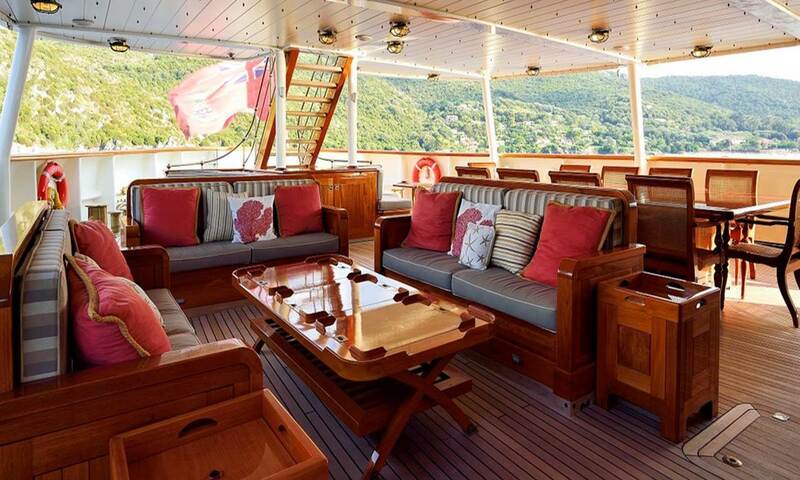 The five very spacious guest cabins have single berths. Warm colors give them a homey atmosphere and invite to relax. 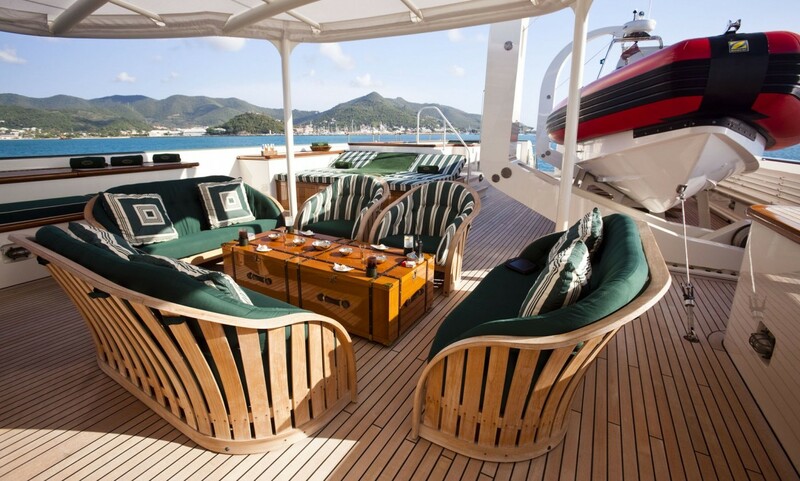 There are 5 spacious crew cabins with two berths each. 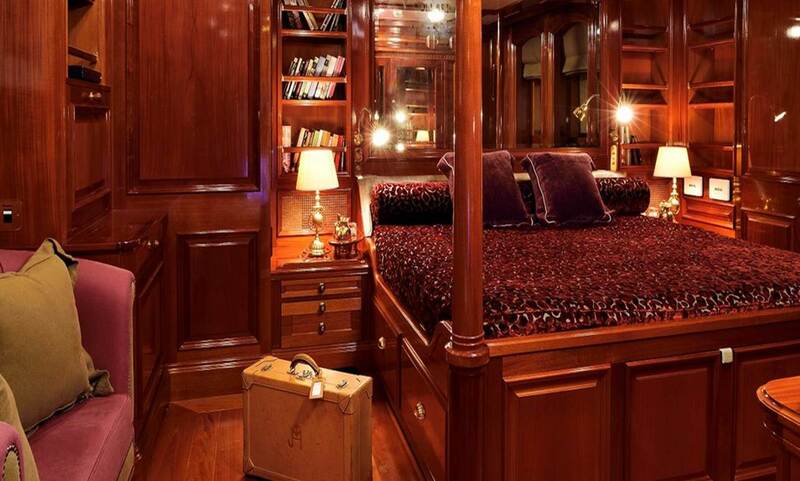 The Captain’s cabin with a double bed has space for up to two crew.